136 pages. 275x215mm. Printed on gloss art paper, casebound with printed board covers. J. G. Robinson was appointed locomotive superintendent of the Great Central Railway in July 1900, the year after the opening of the extension to London. 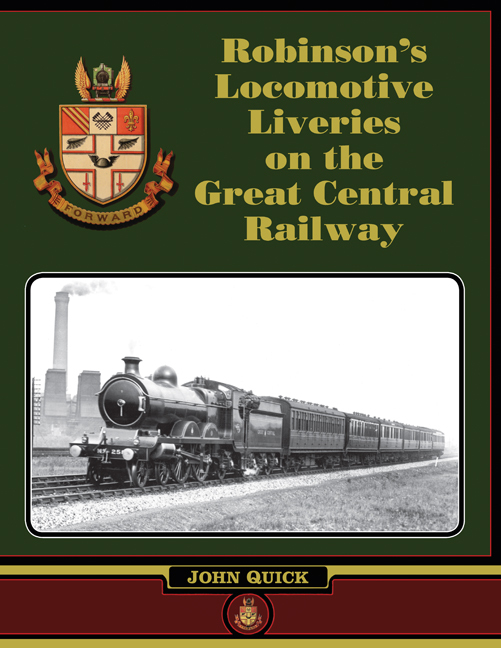 This volume describes in detail the full range of liveries that were applied by the Great Central to the twenty-eight classes of passenger, freight and mixed traffic locomotives, as well as the railcars, that Robinson designed for the company. Chapters give a brief history of each class of locomotive and detail the changes made to their liveries over time. The book is illustrated throughout with a selection of photographs to support the descriptions in the text and supplemented with colour sample panels typical of the liveries that would have been applied in the early twentieth century. This illustration was published in The Railway Magazine. 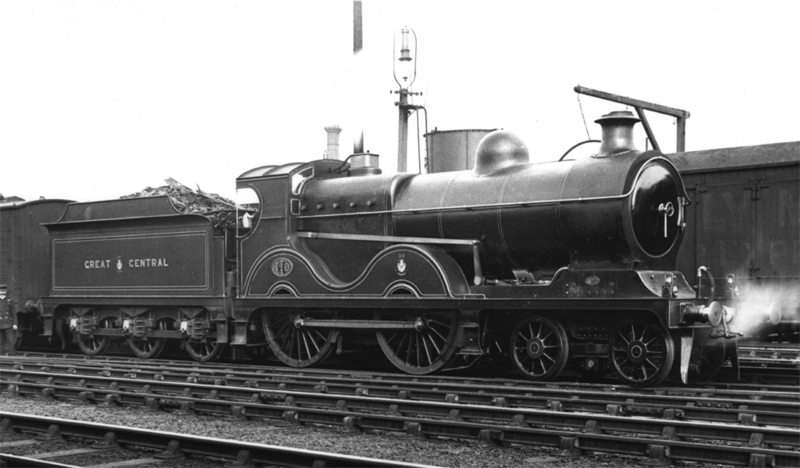 Nos 192 and 194 were the first ‘Atlantics’ and were to be painted black until someone decided otherwise. The livery of Brunswick green and crimson as depicted in this picture is accurate, but the shades of those colours may be doubtful. The green sides to the splashers are noteworthy.